To build a nuclear reactor it is necessary to have enough nuclear fuel, which we call critical mass. Having enough critical mass means having enough fissile material in optimal conditions to maintain a nuclear fission chain reaction. The arrangement of neutron absorbents and control rods allows to control the chain reaction and the shutdown and start-up of the nuclear reactor. In the reactor core, the nuclear chain reaction is produced and maintained with the objective of heating the water that will be used to drive the turbines of the plant. The first nuclear reactor in the history of nuclear energy was designed and launched by the Nobel Prize for Physics Enrico Fermi under the stands of the rugby field at the University of Chicago on December 2, 1942. It was only half a watt from power but it served to demonstrate that a nuclear reactor was technically possible. It was used as a pilot installation for reactors designed to make a plutonium for the atomic bomb of the Manhattan Project of World War II. Nuclear nuclear reactors are those that work by slowing down (moderating) the faster neutrons or increasing the proportion of fissile atoms. To slow down these neutrons, called slow neutrons, you need a nuclear moderator that can be light water, heavy water or graphite. The fast nuclear reactors are those that do not need to moderate the speed of the electrons and use fast neutrons. A fast nuclear reactor does not need a neutron moderator, but it must use a nuclear fuel that is relatively rich in fissile material. Nuclear fuel is a material capable of fissioning enough to reach the critical mass, that is, to maintain a nuclear chain reaction. 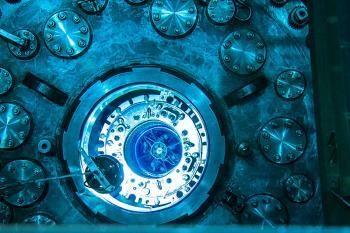 It is placed so that the thermal energy produced by this chained nuclear reaction can be quickly extracted. Nuclear power plants use solid nuclear fuel. Nuclear fuels vary depending on the type of reactor but uranium derivatives are used. In general, a fuel element is constituted by a quadrangular arrangement of the fuel rods. Although the Russian VVER pressure water reactor is made up of a hexagonal arrangement. The guide tubes are fastened to the fuel support grilles, in this way it is possible to maintain the centers of the fuel rods and the guide tubes at the same distance. The mechanical design of the different fuel elements is identical. Some contain beams of control rods and others contain consumable poisons or neutron sources. They are the physical place where nuclear fuel is confined. Some fuel rods contain uranium mixed in aluminum in the form of flat sheets separated by a certain distance that allows the circulation of fluid to dissipate the heat generated. The plates are placed in a kind of box that serves as support. It is constituted by the fuel rods. The reactor core has a characteristic geometric shape. The core is cooled by a fluid, usually water. In some nuclear reactors, the core is located inside a pool with water, at a depth of 10 to 12 meters, or inside a pressure vessel made of steel. The control rod bundles provide a rapid means to control the nuclear fission chain reaction. They allow quick changes of reactor power and its eventual stop in case of emergency. 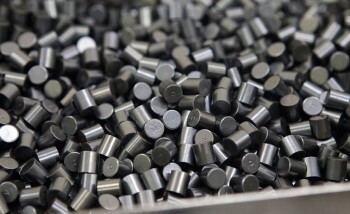 The control rods are made of neutron absorbing materials (boron carbide or silver alloys, indium and cadmium, among others) and usually have the same dimensions as the fuel elements. The reactivity of the core increases or decreases by raising or lowering the control rods, i.e. by modifying the presence of neutron absorbing material contained therein in the core. For a nuclear reactor to work for a period of time it must have an excess of reactivity, which is maximum with fresh fuel and decreases with the life of it until it is canceled. At this moment the nuclear fuel is recharged. 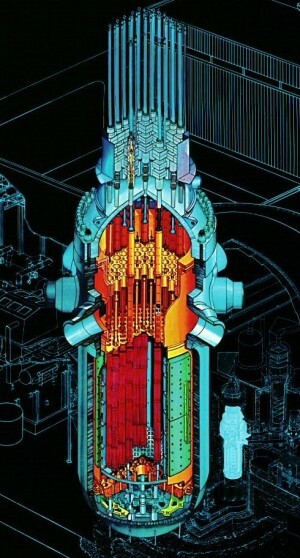 In normal operation, a nuclear reactor has the control rods totally or partially extracted from the core. The design of nuclear power plants is such that in the event of a failure in a safety or reactor control system, it always acts in the sense of maximum safety by fully introducing all the control rods in the reactor core. This action takes the nuclear reactor to a safe stop in a few seconds. The neutrons resulting from a nuclear fission reaction have a high kinetic energy (they acquire a lot of speed). The higher your speed is, the less likely you are to fission other atoms so you should reduce this speed to encourage new chain reactions. The reduction of the kinetic energy of the neutrons is achieved by elastic collisions of the neutrons with the nuclei of the element acting as moderator. Among the moderators most used are light water, heavy water and graphite. In order to take advantage of the thermal energy released by the nuclear fission reactions, a refrigerant is used. The function of the refrigerant is to absorb said thermal energy and transport it. The coolant must be anticorrosive, with a high heat capacity and must not absorb neutrons. The most common refrigerants are gases, such as carbon dioxide and helium, and liquids such as light water and heavy water. There are even some organic compounds and liquid metals such as sodium, which are also used for this function. In a nuclear chain reaction, a certain number of neutrons tend to escape from the region where it occurs. This neutron leak can be minimized with the existence of a reflector means that redirects them within the reaction region. In this way, the efficiency of the nuclear reactor is increased. The reflector means that surrounds the nucleus must have a low capture cross section in order not to reduce the number of neutrons and to reflect as many of them as possible. 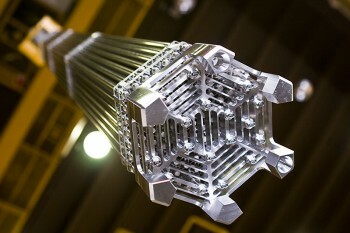 The choice of reflector material depends on the type of nuclear reactor. If we have a thermal reactor, the reflector can be the nuclear moderator, but if we have a fast nuclear reactor the reflector material must have a large atomic mass so that the neutrons are reflected in the nucleus with their original velocity (in-elastic dispersion) . When the reactor is in operation, a large amount of radiation is generated. Protection is necessary to isolate workers from the installation of radioactivity caused by fission products. Therefore, a biological shield is placed around the reactor to intercept these radioactive emissions. The most commonly used materials to build this armor are concrete, water and lead. The technology of the nuclear reactors began to develop for warlike purposes but from the 1950s it began to diversify for civil purposes, especially for the production of electric power. In recent years, due to the sustainability problems posed by fossil fuels in thermal power plants, and the independence that they would represent with respect to renewable energies such as solar energy; interest has been growing in nuclear fission reactors first and then in nuclear fusion reactors as a means of obtaining electric power. 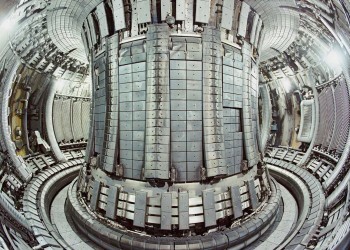 The drawback is that the research on nuclear fusion is very expensive, since it includes very expensive facilities that do not provide immediate results, so the projects have an international character (such as the ITER project) between several very rich and technologically very developed countries. . The economic resources available are not the same as those used for military investigations. Naval propulsion of icebreaker vessels, nuclear submarines, military aircraft carriers, etc. It is also investigated to use them for rocket propulsion. Production of plutonium, which can be used for military purposes, such as atomic bombs or not, such as MOX fuel, made with plutonium oxides and depleted uranium and that can be used in some PWR reactors. In the latter case, in principle the concept is the inverse, in the 90s they start to create nuclear power plants that use as nuclear fuel radioactive nuclear waste from other nuclear power plants, which turn out to be plutonium (the MOX by about 7% ) and "impoverished" uranium (MOX around 93%) resulting from the uranium enrichment process. Production of radioactive isotopes, used in construction (americio of smoke detectors), in medicine (Cobalt-60), in research, etc. Production of free neutrons that are used in research and in medicine. Production of neutron bombs, used for military purposes. The construction of large reactors always ends up needing more time and money than initially expected. The nuclear fusion reactors are all still in the research and development phase, one of the most important future applications that is expected of them is the production of electricity. Pressurized water reactors (PWR) are the most popular nuclear reactor type in the world. Know the main features of operation. The boiling water reactor is a type of nuclear reactor that does not have a steam generator. It is the second most used type in the world. A gas-cooled or GCR reactor was a nuclear reactor that used graphite as a neutron moderator and carbon anhydride as a coolant.